Dr. Vincent Castellucci earned his Bachelor of Arts in 1960, followed by a Bachelor of Science from Laval University in Quebec City in 1964. He then turned to the United States to complete his training in research. He began his doctoral studies in neuroscience under the direction of Drs Sydney Goldring and James O’Leary at Washington University in St. Louis. In 1968, after completing his Ph.D. he joined the laboratory of Dr. Eric Kandel, in the Department of Physiology at the New York University School of Medicine. It is during this postdoctoral fellowship that he is introduced to his main research topic, the study of cellular and molecular mechanisms of memory. From 1971 to 1974 he continued his work on memory in New York as an assistant professor at New York University School of Medicine, and from 1975 as an associate professor at Columbia University, also in New York. It should be noted that Dr. Castellucci has worked on several of the studies that led to the awarding of a Nobel Prize in 2000 to Dr. Eric Kandel. In 1988, Dr. Castellucci is repatriated to Canada through the efforts of the Institut de Recherches Cliniques de Montréal who offered him the position of Director of the Laboratory of Neurobiology and behavior. He was then appointed Research Professor in the Department of Medicine at the University of Montreal and member of the Centre for Research in Neurological Sciences. Following the establishment of Dr. Castellucci in Montreal, an important objective of the lab was to continue to explore the diversity of synaptic interactions that underlie different forms of learning in a model invertebrate marine mollusk Aplysia (Aplysia californica). As a whole, the work of Dr. Castellucci has identified several cellular and molecular mechanisms underlying the establishment of short-term and long-term memory. 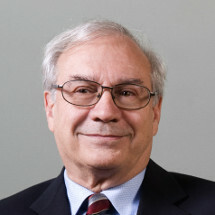 His growing involvement in the Montreal neuroscientific community earned him the position of Director of the Department of Physiology (1993-2001). Dr. Castellucci joined the Direction of Medicine as Vice-Dean of Research (2001-2004) and was Assistant Dean for Research (2004-2011) when Rouleau was Dean. Upon his retirement in June 2011 he was named Professor Emeritus. Pinsker, H., Kupfermann, I., Castellucci, V.F. and Kandel, E. Habituation and dishabitua¬tion of the gill-withdrawal reflex in Aplysia. Science 167: 1740-1742, 1970. Kupfermann, I., Castellucci, V.F., Pinsker, H. and Kandel, E. Neuronal correlates of habituation and dishabituation of the gill-withdrawal in Aplysia. Science 167: 1743-1745, 1970. Castellucci, V.F., Pinsker, H., Kupfermann, I. and Kandel, E.R. Neuronal mechanisms of habituation and dishabituation of the gill-withdrawal reflex in Aplysia. Science 167: 1745-1748, 1970. Castellucci, V.F., Carew, T.J. and Kandel, E.R. Cellular analysis of long-term habituation of the gill-withdrawal reflex of Aplysia californica. Science 202: 1306-1308, 1978. Castellucci, V.F., Kandel, E.R., Schwartz, J.H., Wilson, F.D., Nairn, A.C. and Greengard, P. Intracellular injection of the catalytic subunit of cyclic AMP-dependent protein kinase stimulates facilitation of transmitter release underlying behavioral sensitization in Aplysia. Proc. Natl Acad. Sci. USA 77: 7492-7496, 1980. Castellucci, V.F., Nairn, A., Greengard, P., Schwartz, J.H. and Kandel, E.R. Inhibitor of adenosine 3’:5’-monophosphate-dependent protein kinase blocks presynaptic facilitation in Aplysia. J. Neurosci. 2: 1673-1681, 1982. Montarolo, P.G., Goelet, P., Castellucci, V.F., Morgan, J., Kandel, E.R. and Schacher, S. A critical period for macromolecular synthesis in long-term hetero¬synaptic facilitation in Aplysia. Science 234: 1249-1254, 1986. Goelet, P., Castellucci, V.F., Schacher, S. and Kandel, E.R. The long and short of long-term memory. A molecular framework. Nature 322: 419-422, 1986. Castellucci, V.F., Blumenfeld, H., Goelet, P. and Kandel, E.R. Inhibitor of protein synthesis blocks long-term behavioral sensitization in the isolated gill-withdrawal reflex in Aplysia. J. Neurobiol. 20: 1-9, 1989. Trudeau, L.-É. and Castellucci, V.F. Contribution of Polysynaptic Pathways in the Mediation and Plasticity of Aplysia Gill and Siphon Withdrawal Reflex: Evidence for Differential Modulation. J. Neurosci. 12 (10): 3838-3848, 1992. Manseau, F., Fan, X., Hueftlein, T., Sossin, W.S. and Castellucci, V.F. Ca²+-independant PKC APL II mediates the serotonin induced facilitation at depressed Aplysia sensorimotor synapses. J. Neurosci. 21: 1247-1256, 2001.